Just in time for the Olympics, London’s tube and commuter rail trains are getting free Internet that’s fast enough to stream video. However, the free Underground Wi-Fi won’t stick around for long. 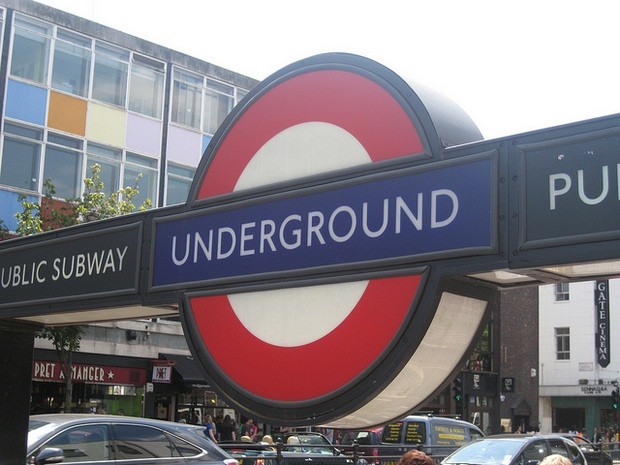 London’s tube trains and elevated rails are getting equipped with free Wi-Fi. Transport for London (TfL), the city’s transit agency, announced on Monday that the London Overground will be equipped with free in-station Wi-Fi provided by ISP The Cloud. Virgin Media won a similar contract for the London Underground on March 14. The Cloud is a subsidiary of News Corp.-affiliated BSkyB that specializes in operating public Wi-Fi hotspots. Users of the Overground Wi-Fi system will be allowed one hour of free access a day after registration with a standard username/password combo. The Underground Wi-Fi system will also give an hour of free Internet access daily; however, free access (except for Virgin Media subscribers) will be phased out after the 2012 Olympics. Overground Wi-Fi will remain free indefinitely following the games; in fact, the operation schedule makes it unclear whether service will even be available before the Olympics. Service on both networks will be blazing fast for public Internet; both The Cloud and Virgin boast that users will be able to stream video on the go. The Overground is an elevated rail/surface rail system used by over 200,000 commuters daily that is fully integrated with the Underground. Twelve stations including Willesden Junction, Dalston, and Hackney Central will be equipped with Wi-Fi by December; 44 more stations are scheduled for 2013. Eighty tube stations will be outfitted with Virgin’s Wi-Fi network in time for the Olympics, with 40 more stations scheduled for late 2012. British and international advertising agencies are already exploring new campaigns, such as landing pages and interactive ads, to work in tandem with London’s mass-transit Wi-Fi project. Apart from the payments, there’s also one large caveat: Users won’t be able to use Wi-Fi on the tube trains themselves. Due to technical restrictions, Underground service will be restricted to station concourses, platforms, and escalators only. Meanwhile, American mass transit commuters can stay jealous. Despite being increasingly common abroad, subway/bus Wi-Fi remains relatively rare here in the States.